Nestlenook Farm - Jackson NH and Mt. Washington Valley Area Information. Pumpkin People, Tradionally Yours Events, Lodging specials, Dining and Ski Area Info. Nestlenook Farm, a beautiful 65 acre Victorian estate, has fun for everyone. 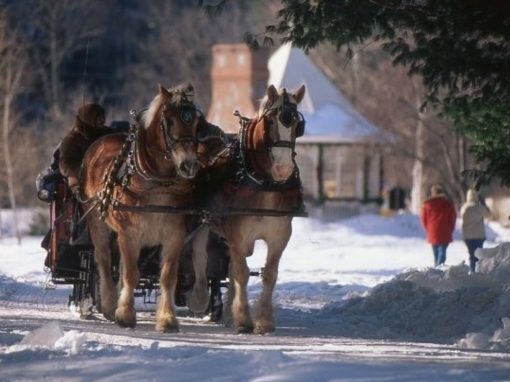 Take a ride in a custom made Austrian sleigh on a lantern lit trail along the Ellis River. Ice Skate on the luminous Emerald Lake, or explore a winter wonderland on snowshoes. After, warm up next to a roaring fire with a cup of hot chocolate in our fully enclosed warming center.